The Luncheon Club for the over 55s was successfully launched with a very enjoyable lunch in April 2013. 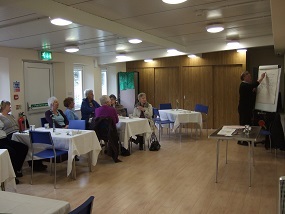 For a report on this launch, see www.haltoncentre.org/2013/04/launch-of-luncheon-club/ AND see the photos below. 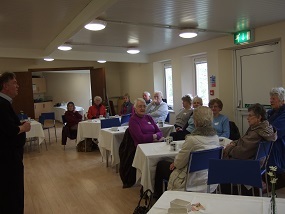 Since then it has become a popular regular event on Fridays, on the 2nd and 4th Friday of the month from 10am to 1.30pm to give time for an informal talk or other enjoyable activity as well as a leisurely high quality cooked lunch at a very reasonable £5. For that price you get a tea or coffee on arrival, a delicious lunch, a tasty dessert, and another drink afterwards. 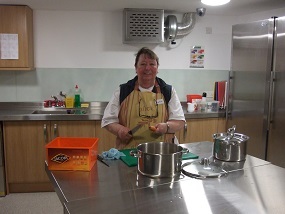 Please BOOK IN ADVANCE each week with Maureen Richardson on tel: 01524 811316 or by e-mail: Centremanager@haltoncentre.org as the lunch is very popular and space is limited. If you can’t come on the day, you can order a lunch to pick up or for a friend to take home for you. (payment in advance), ask Maureen for details. 26th April Last Night of the Tour Capers – The last night of a tour is traditionally the time for practical jokes and good-natured leg-pulling. Steve Swithin recounts some of the daft and amusing “end of tour” tricks that were played on the artists, the crews – and frequently himself – during his many years of working on major concert tours up and down the UK. Only some of the names have been changed to protect the guilty! 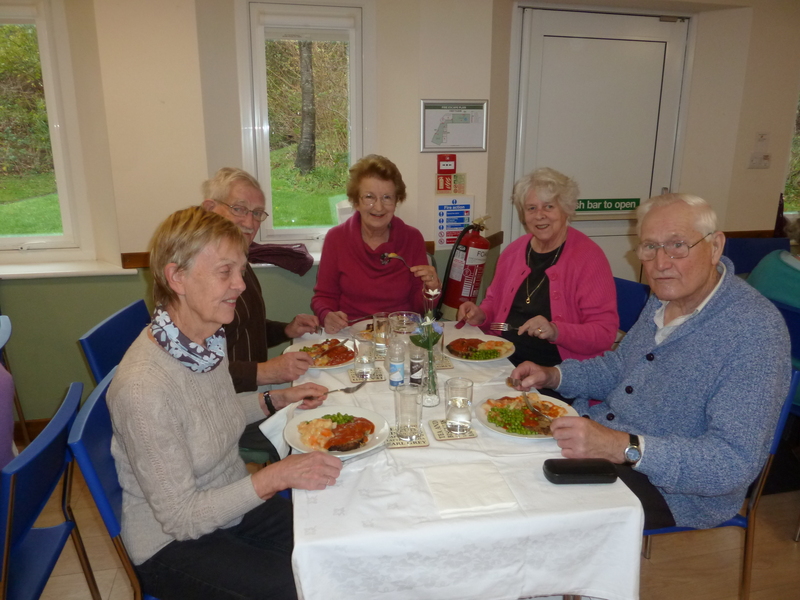 In fact every Christmas lunch has been delicious with great entertainment. 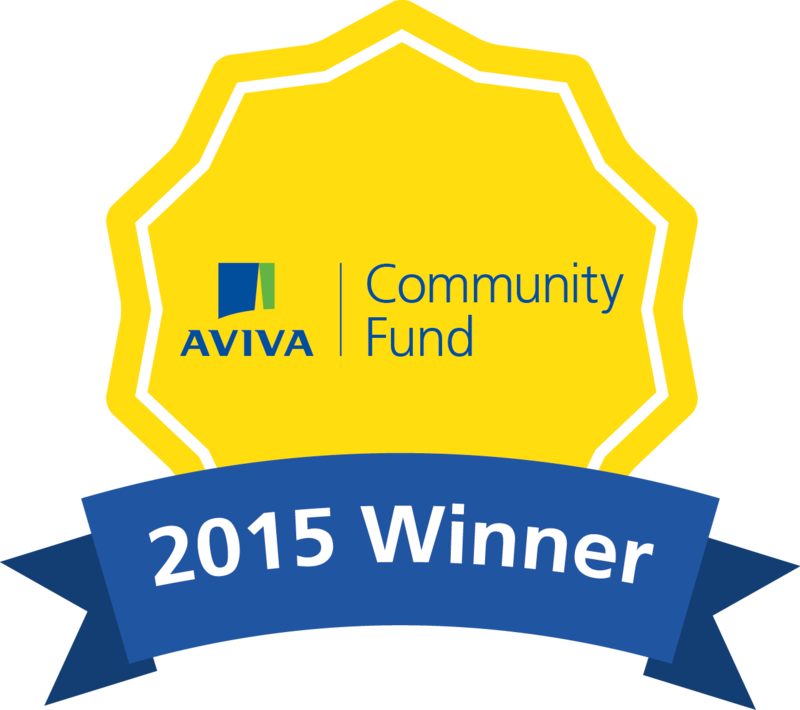 We are very grateful to the Aviva Community Fund for providing a grant in 2015 to help us to purchase much needed crockery and cutlery specifically for the Luncheon Club. DO come along – it’s a great way to spend a Friday lunchtime!